Vitamin A promotes healthy eyes and vision, supports immunity, and promotes the health of the skin. 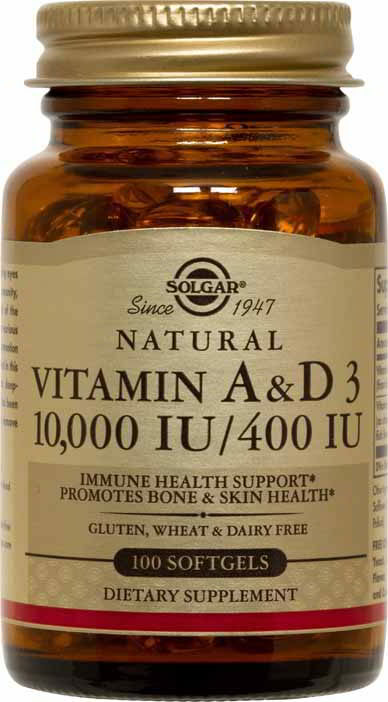 Vitamin D performs various functions, including the promotion of bone health. The oil used in this formula is derived from deep-sea, cold-water fish. It has been molecularly distilled to remove harmful contaminants. Other Ingredients: Gelatin, Vegetable Glycerin, Safflower Oil. Contains fish (Cod, Haddock, Pollock).